This is one of the foremost questions on homeowners’ minds when they’re making a move. Whether it’s a relocation from a suburban to a city environment, or downsizing for a more comfortable retirement, “stuff” can cast a big shadow. 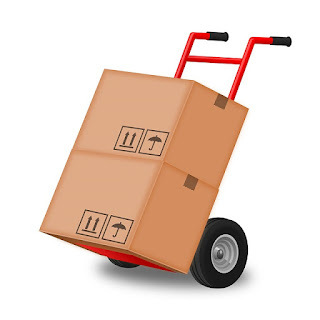 To lighten the burden before the big day, it can be helpful to “rightsize” for your move far in advance. Not only will rightsizing save you time, money, and energy as you transition to a new home, it can also help you learn how to evaluate what you really need versus what you’ve been hanging onto for no good reason. Is this right for the weather? If you’ve lived in places with severe winters and you’re heading for a zero-snow climate, recognize what doesn’t fit and let it go. Is this right for the lifestyle? Your massive outdoor grill and patio furniture may be a waste if you’re settling into a city high-rise. The same might even be said of a second car or recreational vehicle. Is this expensive to move? Some items cost more to move than replace. This is especially true if the item forces you to upgrade the size of your moving truck. Is this something I really use? If you’re in a storage space looking at stuff you haven’t touched in six months or a year, you probably don’t need to transport it to your new space. Is this going to look out of place? Sometimes a new house will make old furnishings and objects seem tacky or trashy. Imagine where you’re going to move it and see if you can do without. Once you’ve decided something should go, it’s a simple matter of deciding if it’s a “sell,” “donate,” or “ditch” item. While the income from selling items may be appealing, be sensitive to how much time you have before the move. If time’s short, gifting items to friends, charity, or even the dump is a reasonable way to go.